This is the new authentic MLB Umpire Shirt from Majestic that MLB umpires began wearing in 2016. This is the first umpire shirt Majestic has made available with MLB logo (on the back). 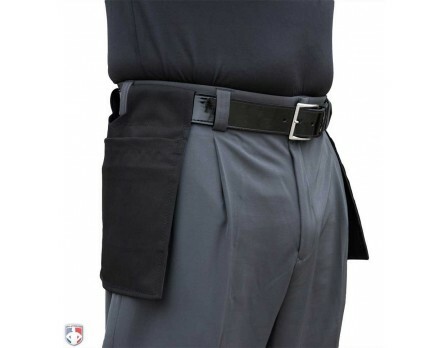 It is classic black with charcoal (or storm) grey trim and side panel with a unique, durable polyester/elastane waffle fabric blend plus side and tail mesh gussets that provide maximum air flow and maximum freedom of movement. 99% polyester/1% elastane waffle fabric is an anti-microbial, performance CoolBase fabric that wicks moisture away from the body. ACC & SEC baseball umpire Scott Kennedy gives you an inside look at the new Majestic MLB umpire uniform shirts. Bought medium for base and large for plate, both fit good and look great. Wanted this shirt just to wear around, support my favorite team (the umpires), then had a game where we were going to wear the pro shirt, so I finally ordered one. Love the material, the feel. The size is perfect, fits really nice. Great shirt. These are great! With the warmer weather we get here air flow is must. 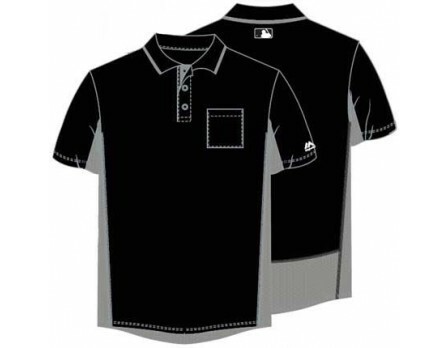 With this umpire shirt you can still wear an undershirt and have no fear of over heating during a game. Great quality and fit. One thing to remember is better quality means better true fit to size. These shirts are not cut with extra room for chest protector. If you wear a large normal shirt size and order a large it will work for field work if you want it for the plate order an extra large otherwise the large will be tight. Fantastic umpire shirt that holds up much better than the cheaper brands. Worth the price. 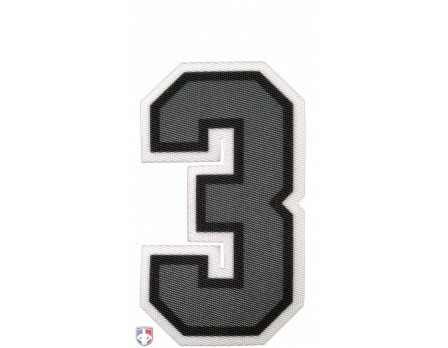 The MLB logo can be easily removed off the back as well! I'm not sure there's a more comfortable umpire shirt out there. Love it. Love the style of the umpire shirt and the fabric and collar are much better than the Smitty. This is my favorite shirt to wear when my partner can match. I have always been a fan of the Majestic products. The on-field quality that they produce outdoes the quality that other manufacturers produce when trying to copy a MLB style. Looks great, fits perfectly and is very comfortable in hot weather. Great shirt!! Looks and feels good. Ump-Attire.com got the shirt to me really quick and it was exactly what I wanted and looks and feels great. Awesome umpire shirt. Major League look and comfortable and light. Great umpire shirt and pricing. The fit is perfect and comfortable. Majestic is top notch! Purchased this umpire shirt during the Black Friday event. Great shirt! 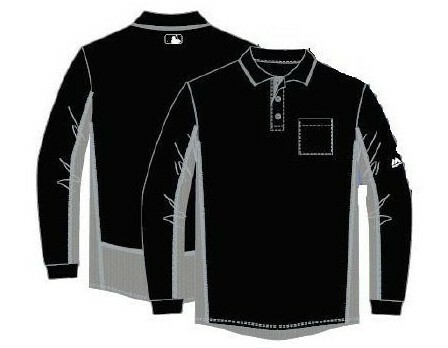 Best looking and fitting umpire shirt on the market! Don't be fooled by imitation brands and sites. Majestic and Ump-Attire.com outperform the competition hands down! Most comfortable umpire shirt out there. The Fit might be a tad smaller than Smitty but the overall feel and comfort are unmatched. I took advantage of the Black Friday sale and now I'm bummed I didn't get more. By far the best umpire shirt on the market! 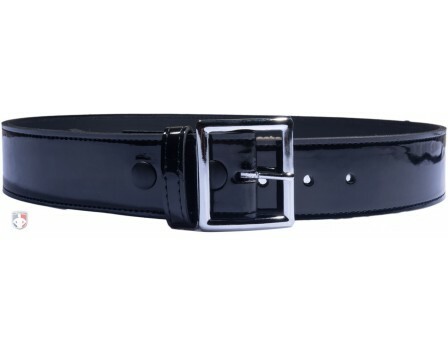 Great material, plus the collar stays true to form! Great umpire shirts and look great on too! This is definitely the best umpire shirt I've worn, lightweight and looks good! I recommend spending the little extra money than buying the Smitty shirt. After repeated washings, the colors on both of the Majestic shirts, actually stays the same. You won't regret getting the Majestic especially when you show for a game with a shirt that has solid colors. Outstanding! Great fit and material breathes and moves well on the field. I literally wore my shirts for the first time during a tournament this past weekend and this is the best shirt I've owned in a long while. I will be buying more for myself any my crew. These are some much better quality than the Smitty shirt. Lightweight & breathable. Best umpire shirts on the market. Love everything about this umpire shirt. Style, comfort. No better shirt on the market. What can you say? Majestic got it right with these umpire shirts. They are well made, cut correctly, hold up to repeated use and the material breathes. A bit more expensive than Smitty but worth it. What needs to be said...#1 Umpire Shirt on the market, GREAT JOB MAJESTIC!!!!!!! Let's hope the next producer of the MLB Umpire Shirt keeps up with the QUALITY / FIT????? NIKE? One of the best umpire shirts I have. I recommend it to everyone. Best umpire shirt on the market. True size and fits over plate gear perfectly. This umpire shirt is great. I love how the fabric breathes and helps keep you cool. Very comfortable umpire shirt...definitely prefer the Majestic version over the Smitty. The fit seems to be much better with Majestic and the material seems as though it will stand up better over time. Worth the extra few bucks to me. Now I just need to get more guys in my association to wear it so i can wear it more often. The Majestic umpire shirt is the only way to go. The collar is so much better quality than the Smitty's and the MLB logo on the back puts the cherry on the top. I absolutely love the Majestic umpire shirt; definitely over the Smitty. Hands down better construction (especially the collar) and better material and feel. I wear the XL for base and plate and it is a good fit. If you are not going to get two umpire shirts, don't go up in size for your plate shirt or you'll be swimming in it on the bases. I like the collar much better than the Smitty. 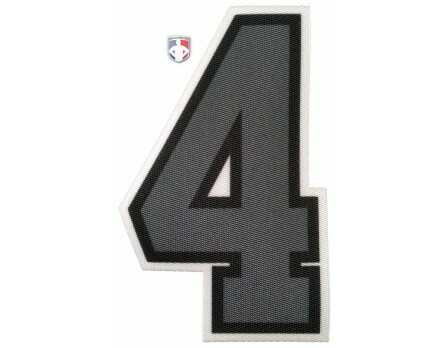 Plus you have the MLB logo on the back, not that weak Smitty's logo. (I covered it with the USA flag). Worth the few extra $$. Great fit. Bought the medium in black, and it's a truer fit to size than the Smitty of the same design. May want to size up one size for plate, but it has stretch without looking skin-tight. Great umpire shirt. I ordered a M - I am 5'11, 180 and it has plenty of room and doesn't look too big on bases. Very nice, official looking shirt. Great umpire shirt! Comfortable and breathable!! Have both colors. Excellent umpire shirt, especially with the hot Louisiana summer coming!! Agree with most of the reviews on this shirt, certainly worth the extra bucks. Awesome product. You won't be disappointed ordering this item. This Majestic umpire shirt is very comfortable and looks like a better material than the Smitty version. It's light and breathable so it should work well even on a hot, sunny day. I can't wait until the light blue version is back in stock to buy that as well. The Majestic umpire shirt is well worth the extra money. Don't waste your time with the others. Collar lays better, keeps you cool and shirts fits great! This umpire shirt is awesome. Great fit, stays cool and looks great. Just received my Majestic Umpire Shirts. I bought the Black/Charcoal Grey and Sky Blue/Black. They look great and have a wonderful feel to them. Top notch product. I highly recommend them. Majestic is just a better shirt compared to other brands, and at the lower price it is a no brainer to pick this. I love the material, the vented sides and the collar. 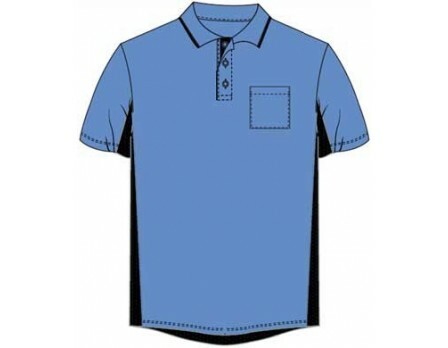 Great fitting and professional looking umpire shirt. This umpire shirt is well made and comfortable. It is professional looking and is never too hot. That's important when you umpire in 110 degree weather. This is only the second time I have bought Majestic umpire shirts, but I will continue to buy them as long as they maintain quality. The vents along the side and back of this umpire shirt make it a legitimate advancement other than just a different design. Especially in the warmer weather where some crews still want to wear black, using this shirt gives you a noticeable cooling effect. That alone makes this a worthwhile purchase. On top of that, the quality is fantastic and better than any of the pebble knit shirts that I've worn in the last 7 years. I love the way this umpire shirt looks on the field. The material is high grade and should last a long time. The MLB logo on the back makes for a professional look. Makes me feel like an MLB umpire! Great comfortable umpire shirt. Nice slim collar unlike the Smitty. Highly recommend! BEST UMPIRE SHIRT ON THE MARKET!!! Nothing else is even close!!! Cut and quality of this umpire shirt is the best. If you are a huskier umpire, you may like the cut of the Replica, but this cut is definitely better for the slimmer umpire. This is a great umpire shirt and one that is lighter than the others I have purchased in the past. I believe that it will be something that will also be more comfortable when doing some of the hotter games in the summer. Looking forward to wearing this one in the coming season. Nice shirt, light and breathable. I do about 200 games a year and $45 for a shirt I'll wear out in one season, it's not worth it. This is a great umpire shirt. I can't wait to wear it on the field. By far worth the extra $10 from the Smitty's shirt. The material is very breathable. The collar is so much better and thinner than the replica, again a great shirt. What I found interesting, the Majestic shirt is a little more 'fitted' than the replica, so keep that in mind when ordering the sizes. The light material makes this a great shirt to wear on a hot day. It fits great around my shoulders. The two color look is impressive. I tuck it into my compression tights and the shirt stays tucked in for an entire game. This shirt is by far, hands down, one of the best products on the market. Being both breathable and allowing you to stay cool during the brutal heat, I highly recommend investing in a quality umpire shirt. There were no issues with this shirt coming untucked at any point during the duration of a game. Great looking shirt! A tad expensive though. They are nice and light. Airy even. My biggest complaint? This shirt doesn't stay tucked into my Smitty pants very well, unlike my Smitty shirts. Strange. Maybe it's just the different material? Fortunately I purchased the suspender and shirt keepers. I've just not had to use them with my other shirts. Due to the cost being roughly twice what I paid for my Smitty shirts and having trouble keeping them tucked without the keepers I can only give them a 3.5 Star rating. Looks great and feels great. A nice addition to my umpire wardrobe! Looks great, can't wait for warmer weather so I can wear it. Great looking shirt... I love the way it feels. Can't wait for baseball to get here. Highly recommend this to all umpires. Just got mine today... what can I say, it's amazing! It's a cool base jersey material, is great and it's very soft! By far the best jersey on the market! Way better quality than what I expected! 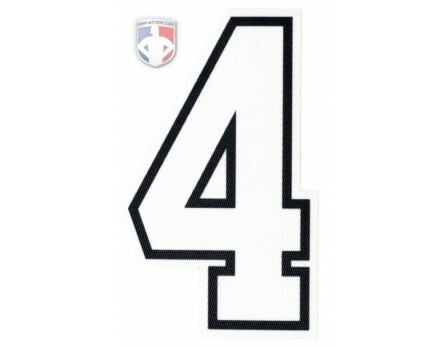 Q: Will Ump-Attire.com offer tailoring services to sew on numbers to shirts? I'm sorry Gabriel, but we do not offer any embroidery services. We have found it best that customers try their apparel on to make sure it fits, and then have numbers and flags attached locally. 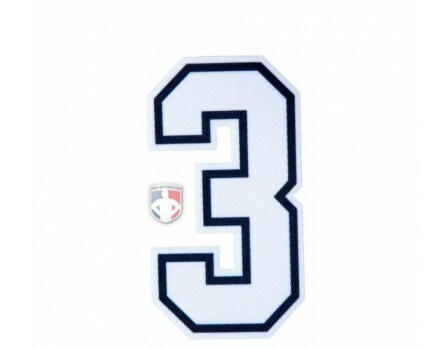 Here are some tips on Flag and Number Placement you can share with your seamstress or tailor. Q: I wear an XL for both plate and base in the SMITTY MAJOR LEAGUE STYLE SELF-COLLARED UMPIRE SHIRT. What size would your recommend in this shirt for me? A: If you wear an XL in the Smitty Major League Style Umpire shirt, I would recommend going with the same size for the Majestic MLB Umpire Shirt. The Majestic shirts do run slightly smaller than Smitty, but it shouldn't cause you to change sizes. Remember, we offer FREE returns so there is no risk of ordering multiple sizes to see which works best for you. Find Your Favorite Majestic, Smitty, Wilson & Force3 gear and uniforms on sale when you order in early. These items make the ranking of what umpires across the U.S. are buying now. We rank the top 10 uniform items ordered this pre-season by college umpires. The ACC, SEC, PAC-12, WAC, Sunbelt, Atlantic Sun, OVC, Big West & Big South recently approved the following umpire uniforms for the 2018 season.